Professional Car Service vs. Ride-Hailing Apps: Which Should You Use? If you’re looking to hitch a ride in 2017 you’re in luck — because you have a huge number of options to choose from. A May 2016 study by the Pew Research Center found that 15 percent of all American adults had used ride-hailing apps like Uber and Lyft, with that number almost guaranteed to increase as such companies expand their services beyond the urban areas they already dominate. Ride-hailing apps are pretty appealing given their convenience and ease of use. Simply pull up the app, type in your destination, and you’re ride is ordered. But these apps can’t beat the quality you get from a professional car service. Not convinced? Let’s run through why a professional car service is the best option for your needs. It’s true that the likes of Uber and Lyft perform background checks for driver applicants, that doesn’t change the fact that just about anybody with a decent car can work for them. All you really need to do is apply and meet company criteria and you’re a driver. Unfortunately, that means that the companies have less control when it comes to the quality of their drivers, meaning that you could end up in the car of a pretty terrible driver. Traditional car services have more strict standards when it comes to drivers. At Modern Limousine Service, all of our drivers undergo extensive background checks and safe driving screenings compliant with the Department of Transportation. Moreover, they’re provided with training and come with years of prior experience. The level of professionalism you get from a car service is almost guaranteed to beat the more recent ride-hailing services. By allowing individual drivers to use their own vehicles, ride-hailing companies provide a convenient way for them to make money. However, that also means you could be riding in a cramped or even dirty car. That’s definitely not the case when it comes to profesional car services. 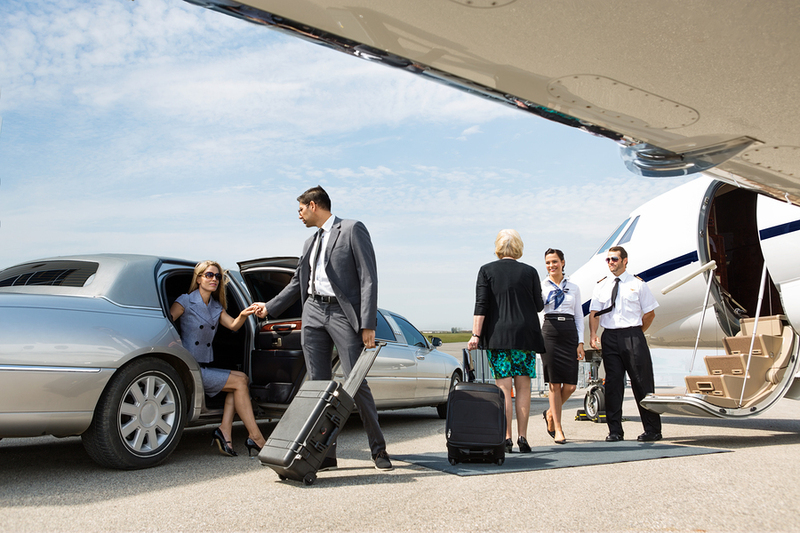 When you call a car service, you’re guaranteed to ride in style with spacious luxury vehicles. At Modern Limo, we offer our clients a whole fleet of luxury ride experiences, from our town car service to luxury SUV experiences and more. You’ll have all the amenities you could possibly want, allowing you to ride in comfort and style. Using a ride-hailing app means calling a random stranger to come and drive you around town. And while most drivers for such companies are fairly good, you can’t ignore the fact that you’re taking a risk when accepting a ride from a stranger. Especially when that stranger doesn’t have the training of a professional. When you use a luxury car service, you won’t have to worry about safety. Drivers at a car service are professionals who act accordingly to their clients’ wishes. They won’t bother you if you don’t want to be bothered, and they can handle tricky driving situations with ease. Your safety and privacy are guaranteed to be honored by car services like Modern Limo. If you use ride-hailing apps frequently, you’ve probably experienced a driver canceling your trip at the last minute, or wrestled with the hassle of increased surge prices at random times of the day. Drivers for companies like Uber and Lyft aren’t held to particularly high standards, and as such offer adequate but at times unreliable service. But car services offer the dependable, reliable service that you deserve. When you book a ride with a car service, you know that your driver is going to arrive on time — if not, early — and will go out of their way to meet your demands. When riding in an Uber or Lyft you’re just another passenger, but when riding with a professional car service you’re important. And that means you’ll get more dependable service. Today’s customers have a wealth of options when it comes to catching a ride. Services like Uber, Lyft and other ride-hailing apps might offer convenience, but if you’re looking for luxury, safety, and dependability, then you should really stick with a professional car service. In the end, you just can’t beat the professionally trained drivers and high-quality vehicles that a professional car service provides. If you’re looking for a car service in Los Angeles, consider Modern Limousine Service. Our reliable drivers and huge fleet of luxury vehicles are ready to help you travel the greater Los Angeles area in style. Contact Modern Limousine Service for more information on our services and to book your ride today!